Bethany Lerch is a former Fulbright and Rotary Ambassadorial Scholar and was a speaker on the 2016 TEDxOshkosh stage. She spoke about avoiding the pitfalls of taking the wrong approach to international aid using examples from her time in Afghanistan. 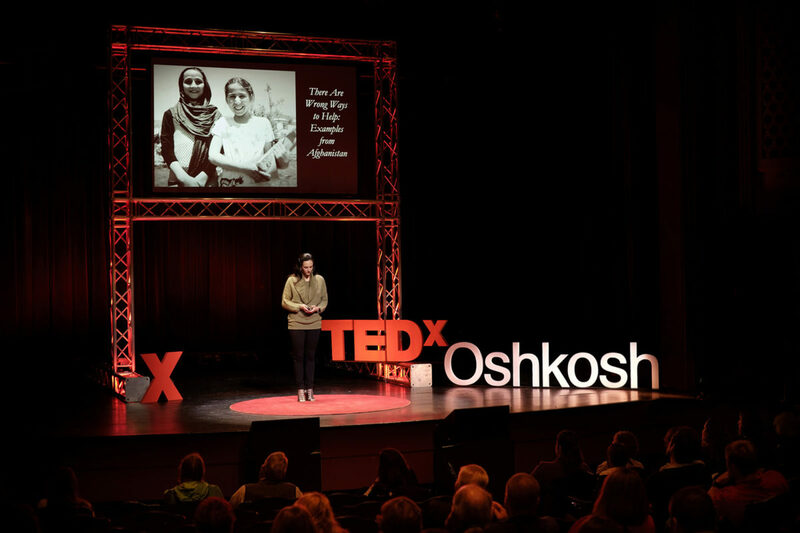 She served as a military advisor in Kabul, Afghanistan, from February 2015 until June 2016 and while there received a note from TEDxOshkosh inviting her to tell her story. She made a list of the four things she could speak on, and the curators selected one from her diverse set of life experiences. She’s the founder of able to, a non-profit also known as the Afghan Education Project, which brings women from Afghanistan to Oshkosh, Wisconsin, to develop their leadership skills, then returns them to their home country. Able to is a project she runs in conjunction with local and regional Rotary groups and individual members. She’d been using TED talks in her classroom in Germany, Amy Cuddy, Elisabeth Gilbert and others. What made your TEDx talk unique? The fact that she wrote the talk, then memorized, rewrote, and rehearsed while walking for a month across Spain on the Spanish Camino trail. Writing. She’s a writer by profession. That preparing for the talk was dramatically more work than she expected. Overcoming the anxiety. She cared so much about the topic and wanted to craft an experience for the audience. This dragon roared for a month. Bring all the speakers together in a cohort. They care for each other, support and encourage success. Approach your script every day. Get muscle memory by saying the words out loud.